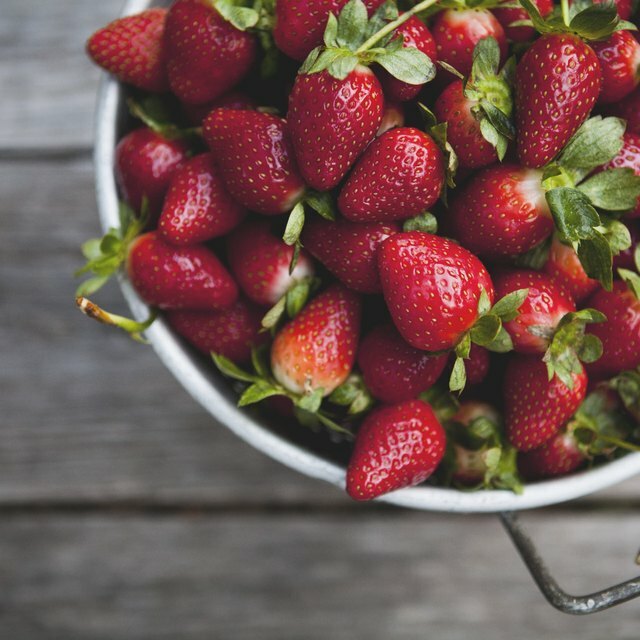 1 Can Certain Fruits and Vegetables Help Your Skin Look Good? Even the cleanest diet won't hold off visible signs of aging indefinitely (oh, how we wish it could! ), but the right foods can make a serious difference in your skin as you age. Nutrient-dense options keep your skin smooth and hydrated, and help retain the collagen and elastic fibers you need for wrinkle-free skin. And you'll also prevent the premature aging that can occur if you eat a less-than-healthy diet. Stock your pantry (and fridge!) 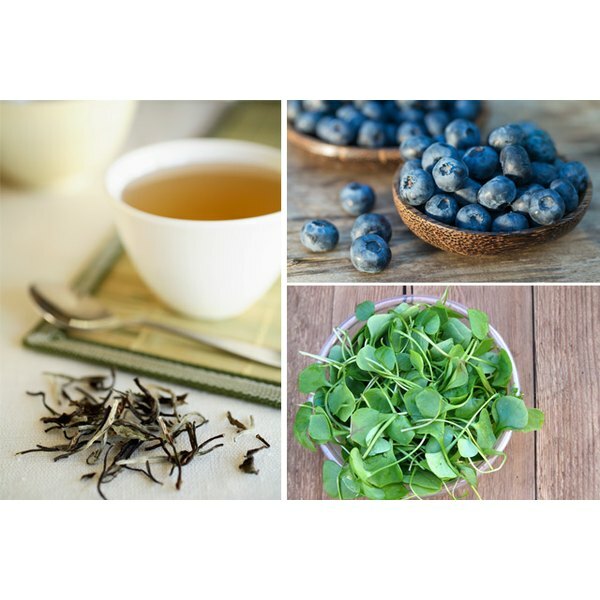 with these youth-boosting superfoods and maintain that youthful glow! Watch the video now! Stop by the produce aisle and pick up tomatoes to keep your skin wrinkle-free. Tomatoes are a fantastic source of lycopene, a powerful antioxidant that helps to neutralize some of the pro-aging effects of sun damage (it basically supplements your sunscreen!). Tomatoes also supply lots of vitamin C, a nutrient you need to make skin-smoothing collagen, and they’re high in vitamin A, which gives your skin a natural glow. The lycopene in tomatoes is most bioavailable after cooking, so cooked tomato foods like tomato sauce and pizza are some of the best source. Finally, an excuse to dig in to that platter of penne! Or start your day off with eggs baked in tomatoes for a serious anti-aging breakfast. Another skin-friendly supermarket staple: eggs. Like tomatoes, eggs are a great source of vitamin A for skin health. They also supply healthy fats, which help keep your skin moisturized to reduce the look of wrinkles. And eggs contain iron, copper and zinc -- all minerals that keep your skin smooth and looking its better. You’ll also get a hefty dose of protein, which supplies the amino acids you need to keep your skin strong. Make sure you eat the whole egg to get its anti-aging benefits -- the whites only contain protein, so you'll miss out on the wrinkle-fighting benefits. Try this skin-friendly omega-3 omelet. OK, you already know you need to drink water for health skin. But tea totally counts toward your total fluid intake, too. White tea is the perfect choice for keeping your skin looking young, since it has an even greater concentration of antioxidants than green tea. All those antioxidants fight free radicals (like the type found in environmental pollution) that would otherwise dull your skin and contribute to wrinkles. And because white tea is naturally lower in caffeine than green or black teas, it’s also slightly more hydrating than those options. Bone broth was the health trend of 2016, and it’s here to stay, due in part to its anti-aging benefits. Because it’s cooked for so long — sometimes for 24 hours or more — bone broth is a great source of collagen, a protein that helps keep your skin smooth and wrinkle-free. While the collagen from your food doesn’t go straight to your skin, it does mean that bone broth has the perfect balance of amino acids for collagen production. Bone broth is also easy to garnish with other skin-friendly nutrients, like fresh grated turmeric and ginger (potent sources of antioxidants) or chili oil, which can temporarily boost circulation to your skin. Make your own bone broth modifying this recipe -- just increase the simmering time to eight hours or more. We'll be honest -- we’ve hit peak kale fatigue. And while kale does offer great anti-aging benefits, watercress is even more nutrient-dense, which makes it a better wrinkle-fighter. There’s almost no better source of vitamin A to keep your skin strong and glowing. Watercress is also a good source of potassium, a heart-healthy mineral that supports good circulation. And it has a good balance of omega-3 fatty acids, which can help fight inflammation -- a good thing for anti-aging, since chronic inflammation can reduce your skin’s elasticity. Watercress has a peppery flavor that makes it a perfect stand-in for kale in any of your favorite recipes. Add a handful to casseroles and pasta, use it alone or with mixed greens for a leafy salad, or wilt a handful of watercress into your soup (like this antioxidant-packed cabbage soup) before serving. Another key for fighting wrinkles: moisturization. And while we know you’ve got your moisturizer game on lock, it’s also important to moisturize your skin with food -- and that means eating healthy fat. Getting enough fat in your diet helps maintain your skin’s lipid barrier, which helps to lock in moisture so you won’t develop wrinkles due to dehydration. Olive oil supplies healthy unsaturated fatty acids to support your skin’s lipid balance, and it’s also packed with antioxidants to help protect your skin from environmental and sun damage. Including a little oil in your meals also helps you absorb other skin-friendly nutrients, like vitamin A. When it comes to getting younger-looking skin, you can’t do much better than blueberries. They’re about 85 percent water by weight, so they boost your hydration levels, and they’re loaded with vitamin C to support collagen production. Blueberries also have one of the highest antioxidant scores of any food, so they can help combat the aging effects of environmental pollution and sun exposure. Load up your smoothies with a generous handful of frozen blueberries, use fresh berries to make a delicious Greek yogurt parfait, or reach for a healthy(ish) indulgence with these blueberries and cream cookies. The New Non-Vegetarian Smoothie Trend: Should You Try It?